High blood sugar or hyperglycemia is the first sign of diabetes or ‘pre-diabetes’ and it is important that you recognize the signs early to avoid complications. Hyperglycemia causes symptoms as the glucose level elevates above 200 milligrams per deciliter in blood. The higher the blood sugar levels, the severer the symptoms become. Increased thirst and urination are revealing signs of hyperglycemia. High blood sugar level makes kidneys flush out extra fluids through urine. Peeing more often means getting rid of more fluid, which puts the body at risk of dehydration. Excessive thirst, as a symptom of the disease, is known as polydipsia. This condition is often accompanied by the risk of body dehydration and cotton mouth. Over 80% people with diabetes or high blood sugar feel an excessive tiredness that interferes with other functions of life. This condition is also known as diabetes fatigue. Blood turns sludgy due to high glucose. It slows down the blood circulation through the capillaries and fails to supply an adequate amount of oxygen to body cells. Also, high sugar causes inflammation in blood vessels. It moves monocytes immune cells into the brain and causes fatigue. Sleeplessness or feeling zonked even after regular sleeping pattern may be warning signs of diabetes fatigue. The macula is a small lens that lies in the retina and is responsible for sharp central vision. High blood glucose level causes the fluid to seep into the lens and swell it up. Swelling changes the lens’s size and naturally throws off the vision, even if you’re wearing glasses or contact lenses. People with diabetes also develop cataracts, which causes the lens to become cloudy. Symptoms of cataracts include faded colors, blurry or double vision, sensitivity to light and halos around lights. You may also experience color changes, floaters, or trouble with night vision. Severe gum diseases (periodontitis) and bleeding gums could signal type-2 diabetes. The sugar-loving bacteria can make your gums red, swollen and likely to bleed when you brush or floss. The elevated sugar level in bloodstream makes your mouth the best place for bacteria breeding, which affects mouth’s natural bacteria-fighting ability. Too high blood sugar reduces blood circulation to the skin that damages skin’s collagen. That damage leads to weird skin texture, especially on the lower legs. You might notice yellow, reddish, or dark, velvety patches on the skin. Excess blood sugar can cause blisters, skin, tags, open sores and wounds, shin spots, bumps, skin infections or dehydrated skin. Hyperglycemia also affects the skin’s ability to heal and increases its sensitivity to temperature. Hyperglycemia means that the body is unable to use the glucose from food properly, irrespective of how much you eat. Weight loss from high blood sugar is extremely unhealthy. So, if you are losing weight for unexplained reasons, it can be a sign of high blood sugar. Watch out for these sneaky signs of spiking blood sugar levels and make sure you get checked out if you recognize any of these. However, if you DO have diabetes, unlike what your doctor will tell you – it CAN be reversed! In fact, groundbreaking research published by the University of Kentucky, University of California and Newscastle University prove that type 2 diabetes IS a curable condition. Previous Previous post: Constipated? 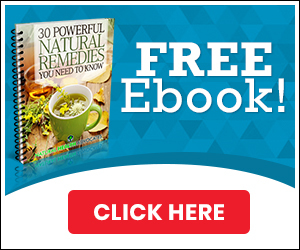 Try these natural remedies that work!